This week’s Tiger Spotlight shines brightly on members of our Fine Arts staff. 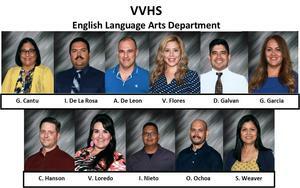 Mr. Juan Lopez, Ms. Anhalie Farias, Mr. Tony Garcia (Mariachi Instructors) and Ms. Cecilia Valdez (Visual Arts Teacher) are without a doubt some of the most dedicated teachers at VVHS. Just recently the VVHS mariachi “Sol de Oro” competed and won the 1st Division at a state competition in Dallas. Our VVHS Visual Arts Team also competed this past week and received multiple awards. These results would not be possible without our teachers who dedicate their personal time and expertise to ensure that our students excel when competing at local and statewide competitions. Thank you, teachers, for the dedication and commitment you give to our students to help them shine no matter where they are! We are very proud of our students and we are very proud of the work you do to prepare them! Keep up the magnificent work you are doing and GO TIGERS! 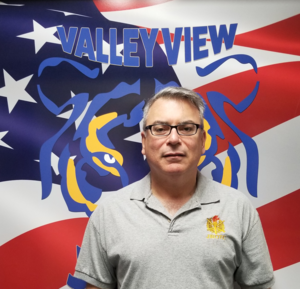 This week's VVHS tiger spotlight goes out to Mr. Marcos Lozano and Mr. Timothy McGregor who have been working closely with their JROTC students to get them well prepared for their competitions. Our JROTC students have excelled at all competitions and most recently came in 1st place at National Rifle Association Texas State Three Position Junior Olympics Phase 1 selection. Mr. Lozano and Mr. McGregor are now getting their students prepared for the upcoming JROTC Phase 2 competition where I know they will once again dominate. Their commitment to our students and the JROTC program is clearly evident. Keep up the great work! his week's Valley View High School tiger spotlight goes out to our campus counselors for doing an outstanding job with our students, parents, staff and educational partners. 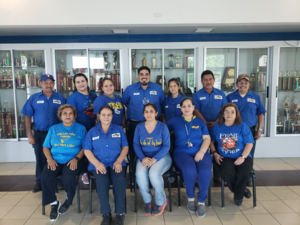 Joanna Acosta, Claudia Arredondo, Karla DeWitt, Norma Ramirez, and Jerry Robledo provide essential guidance to our students and their parents by assisting them to look at all possible graduation outcomes which will benefit our students now and into their post-high school years. Our counselors are in constant communication with our post-secondary partners to assure our students benefit from the programs our partnership has to offer. 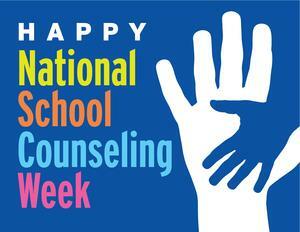 Their commitment to our students, parents, and staff is evident and definitely appreciated. Keep up the great work! This week's VVHS Tiger Spotlight goes out to Mrs. Corina Fuentes Garza who is a tremendous asset to our campus and does an amazing job with our students. Ms. Fuentes Garza is our Physics, Environments Science teacher and club sponsor of the environmental awareness club. She motivates her students to be proactive conscience citizens inside and outside the classroom by doing volunteer work at school and around our community. Her students just recently volunteered in the Operation Clean Sweep event which enhances and preserves the environment locally. Mrs. Fuentes Garza's classroom is inviting to go into and her class activities actively engaged her students by having them think outside the box. Aside from this, she is always willing to help out with any other school-related event or duty without any complaints. Mrs. Corina Fuentes Garza, Thank you for your commitment to our One Team, One Dream. Keep up the great work!